Five men have been convicted of a string of ATM ram raids and burglaries in which they stole more than £400,000 and caused damage costing £250,000. Joseph Upton, John Smith, Albert Smith, John Christopher Smith and Alfred Stanley carried out smash and grab raids at 12 banks and six burglaries in a nine-month crime spree. They used JCB vehicles to smash into businesses before ripping out cash machines, used cutting equipment to help themselves to more cash and escaped in vehicles they had plundered in burglaries across the region. In total, they got away with £301,560 from cash machines and stole cars and jewellery worth more than £100,000. The offences took place across Lincolnshire, Norfolk, Cambridgeshire and Suffolk. One incident at Wilkinson Financial Services in Ruskington took place on May, 29, 2012, where approximately £39,000 was stolen. Four of the gang (all except for John Christopher Smith) had each been jailed for 10 years in 2013 for a violent robbery at an isolated farmhouse in Bedfordshire during October 2012. Afterwards, detectives began investigating the four for further offences. 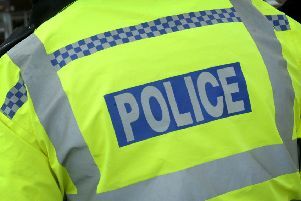 Upton, 43, of Murrow Lane, Parsons Drove, Wisbech, Cambridgeshire, John Smith, 39, of Small Lode, in Upwell, Cambridgeshire; Albert Smith, 38, of Common Road, in Potton, Bedfordshire; Alfred Stanley, 37, of Sandon Close, in Sandy, Bedfordshire, all pleaded guilty at Cambridge Crown Court on Friday to conspiracy to burgle and conspiracy to steal motor vehicles between January and October 2012. John Christopher Smith, 23, pleaded guilty to conspiracy to burgle.